We can develop tools, programs, and games for you: The TESA Collective (The Toolbox for Education and Social Action) works with organizations and groups to build tools, games, and programs for their cause. Our clients include small community groups, national nonprofits, movement builders, city governments, companies with missions, and more. If you want to work with us, send us an email: contact AT toolboxfored.org or fill out the contact form below. Curriculum and tool creation: TESA can collaborate with you to develop an entire educational project from start to finish, no matter how big or small. Read about our work developing curriculum for the city of New York! 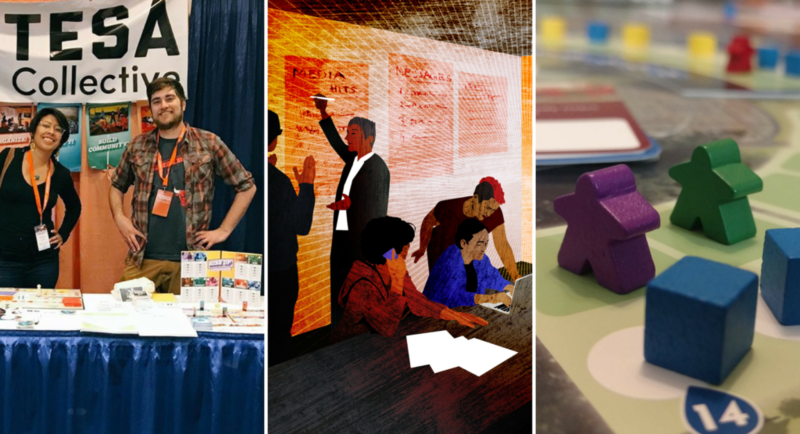 Game creation: TESA has designed and published four board games. 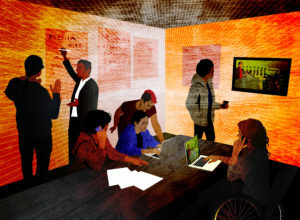 We also work with clients to help them create their own games, for organizational trainings or mass distribution. 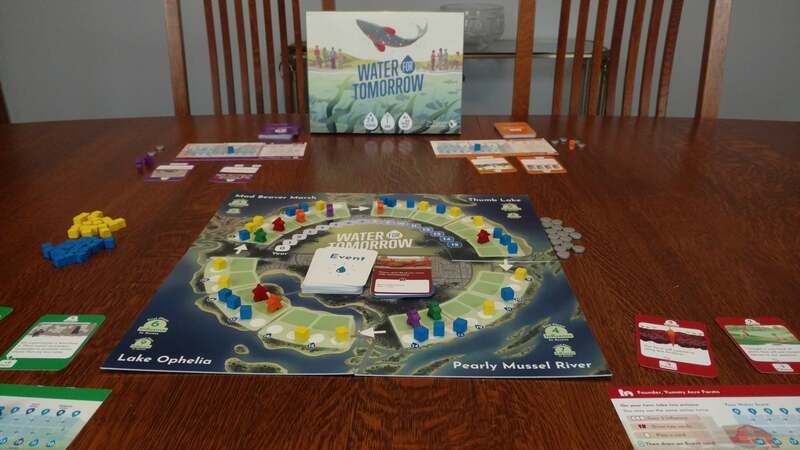 Read about our work developing a board game for The Nature Conservancy! Update educational programming: Is your educational programing lacking? Could it be more exciting and interactive? We will collaborate with you to upgrade existing curriculum and tools. Read about how we revamped the country’s oldest peace organization’s educational programs for modern times. Train-the-Trainers: We can train your staff or leaders to implement powerful, interactive, and dialogue-based education on their own, so your workshops are engaging. Read about our work creating a train-the-trainers for the SCO Family of Services. Workshop creation and facilitation: Looking to have workshops designed and facilitated by an outside party? TESA can develop and lead content to meet your goals. Read about how we developed workshops for the International Rescue Committee! Online courses and tools: We’ve worked with organizations to bring participatory and social justice education online, reaching broader audiences across geographical boundaries. Education and development services for cooperatives: TESA has collaborated to launch dozens of cooperatives and cooperative education initiatives. Read about how we created a cooperative academy for the incarcerated population in Western Massachusetts. And more: We’ve collaborated with groups to produce creative and powerful educational tools specifically suited to their missions, ranging from documentaries to handbooks, conference planning, and beyond. View our project highlights here! What is the project you want to discuss with us?